itel Mobile, a Chinese mobile phone maker, who is known for its value for money feature phones in the country today partnered with Vodafone India and announced an attractive bundle offer on its itel feature phones. Under this offer, users can get a guaranteed cash back of Rs. 900 on all of the itel feature phones. The offer will be available for both new as well as existing Vodafone subscribers from August 25, 2017.
itel says that this is a great opportunity for customers to affordably purchase a new itel feature phone. 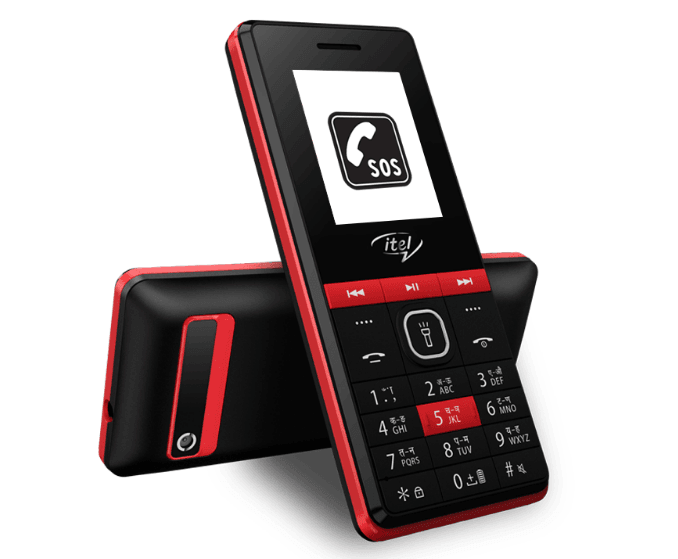 The offer can be activated by purchasing any of itel Mobile’s feature phones. After purchasing a new phone, a customer has to recharge worth Rs. 100 or more with Vodafone in a calendar month. And will get talk time worth Rs. 50 of recharge from Vodafone. This offer is applicable for both new as well as existing Vodafone customers. Each customer can avail this cash back for a period of 18 months, summing up the total cash back to an assured Rs. 900– which in many instances, will cover the complete cost of a new handset purchase. Avneesh Khosla, Associate Director – Consumer Business, Vodafone India said, “We are happy to create this highly relevant and lucrative proposition for our customers in partnership with itel Mobile. This collaboration will enable our existing and prospective customers to make the most out of their new device purchase. With its feature phones starting at Rs. 800 in India, the premium offering will further enhance the value proposition of the feature-intensive devices offered by the brand. Prospective itel customers can avail the offer from August 25, 2017 to October 31, 2017. This offer is valid on the following handsets- it2130, it2131, it2180, it5600, it5602, it5020, it5040, it5060, it5231, it 5232, it5233, it 5320, it5331, it5611, it5613, it5622, it7100.